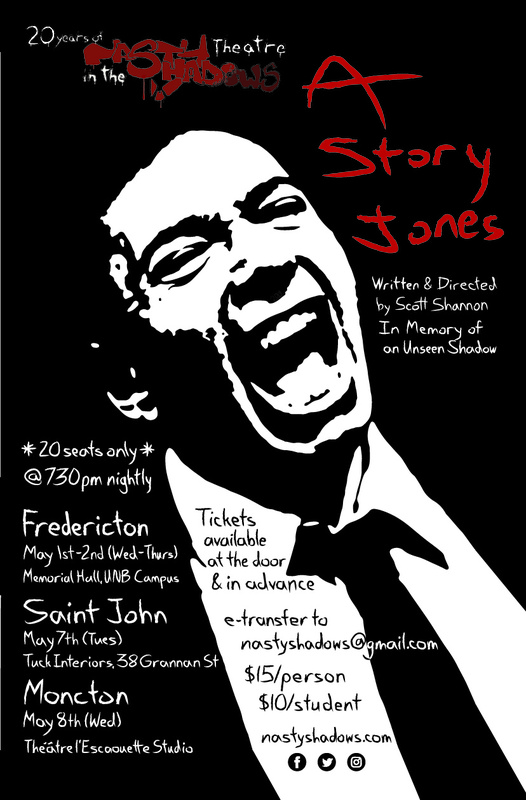 Memorial Hall | Nasty Shadows Theatre Co.
A STORY JONES is our Nasty creation celebrating the life and spirit of a Shadow who stepped into the light, our friend Andrew Jones. JONES is a storyteller, telling tales to a small friendly community in a world hungry for such gatherings, but tonight might be his last story. VIC has been selflessly caring for JONES, protecting JONES from outsiders when CHAEL suddenly (re-)appears (?) in the story circle. Driven by forces beyond and within their control, CHAEL’s dramatic purpose in the room precipitates the most inevitable conclusion, or so it seemed to suggest in the BOOK. 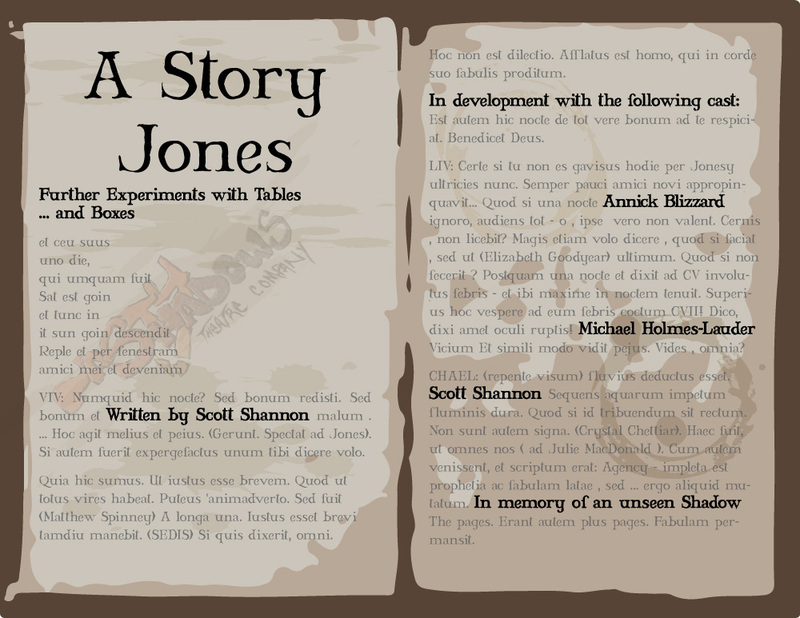 The development of A STORY JONES began with an idea in the spring of 2013. 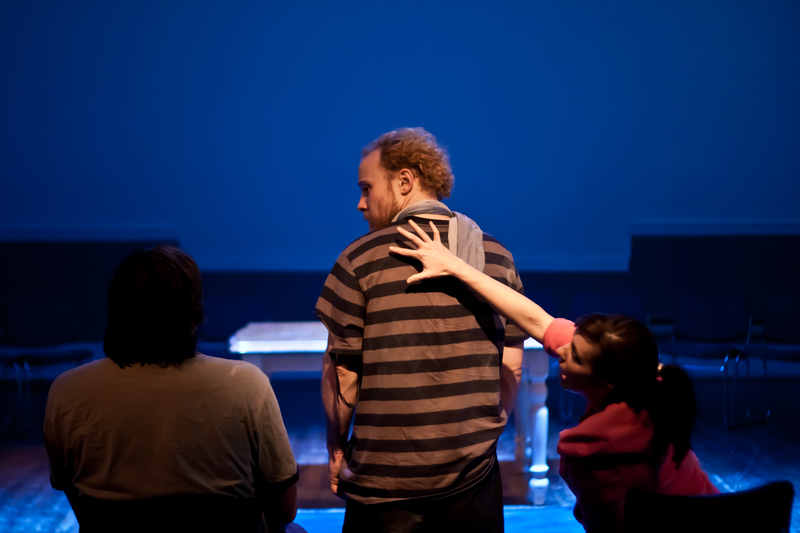 As the writing grew it was played off a number of veteran Shadows in various rehearsal rooms over the last few years, and then finally worked into the play we now present. This is not a history; this is a fantasy story memorial. 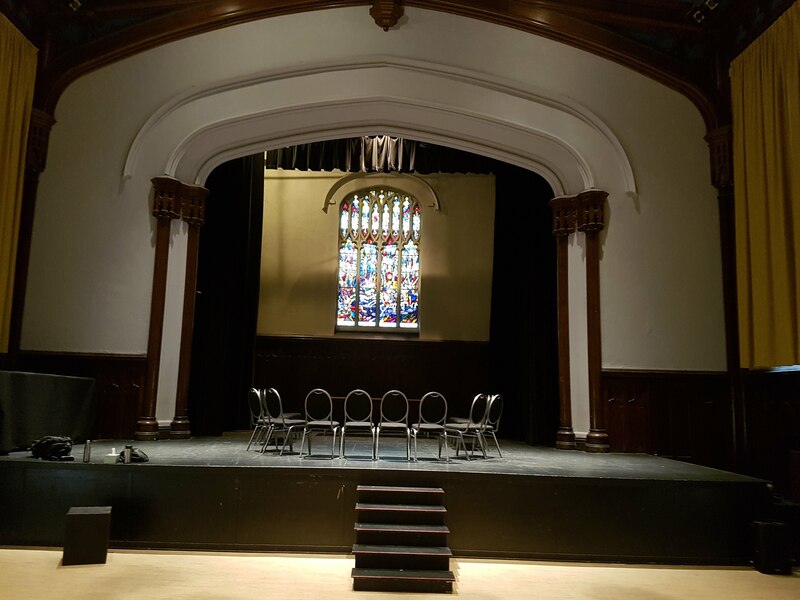 Absolutely thrilled to be celebrating 20 years making theatre with our first foray onto the Fringe Festival circuit, and hitting Michael and Scott’s hometown of Saint John for the FUNDY FRINGE FESTIVAL will be a perfect way to get NASTY during the summer SHADOWS … marking almost 20 years exactly since our last summer stage time during our inaugural shows.